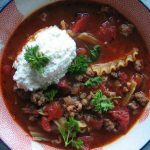 This soup is another loose outline – I like mine thick, so I add more peas, I also like sausage in it, so that’s added to my recipe as well. The original comes from Mom, the key is to keep your ham juice. Mom always cooks ham in a large oven-proof pot, in a couple of inches of water, with a foil tent over it (if the lid won’t fit), for about 3 hours at 350. Obviously, it depends on what kind of ham you buy, how smoked it is etc., but the packaging should give a good indication, and just please don’t buy anything processed. 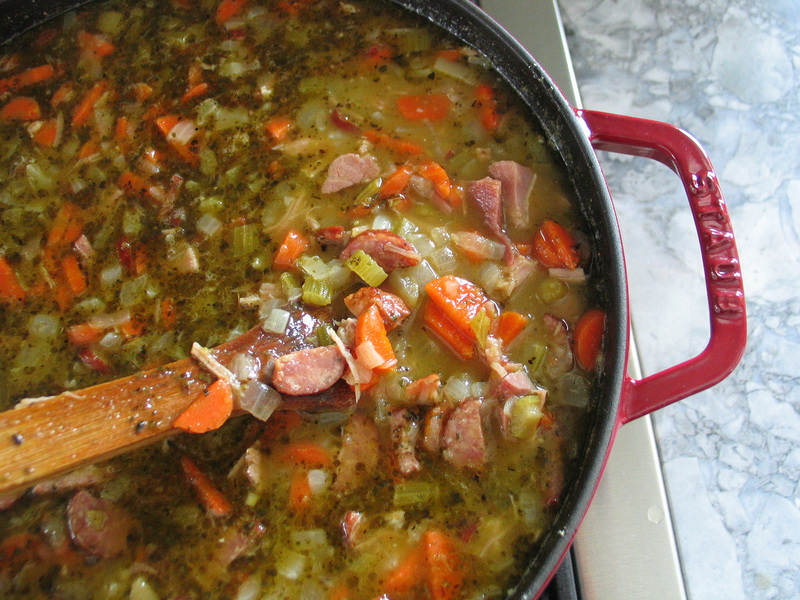 Once the ham is cooked, I keep about a litre of the ‘ham water’ and put it in the freezer along with the ham bone and 2-3 cups of chopped ham to make a big pot of soup at a later date – this is the recipe for that soup. Combine in a large soup pot, bring to a boil and boil for about 2 minutes, turn off the heat, then stir well and let it all sit for an hour. be careful with salt – if you used ham juice, you really shouldn’t need any! Simmer until heated through and then add in some sausage – I usually chop about 2 double-smoked (already cooked) farmer’s sausages and allow it all to heat through before serving. This soup also freezes really well but will thicken up over time. Enjoy!